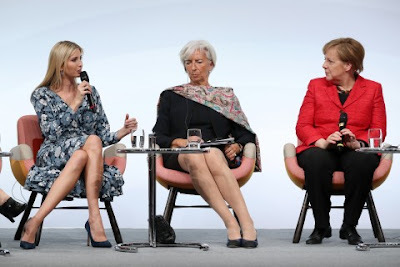 "You are first daughter -- German audience not familiar -- what is your role -- to whom are you represented? Your father, the American people, or your business?" "Well, certainly not the latter, and I am rather unfamiliar with this role as well, as it is quite new to me". "It has been a little under 100 days, but it is just been a remarkable, an incredible journey." "So it's very early for me. I'm listening, I'm learning, I'm defining the ways in which I think I'll be able to have impact," she added. "That is something I'm very proud of my father's advocacy, long before he came into the presidency, he championed this in the primaries. 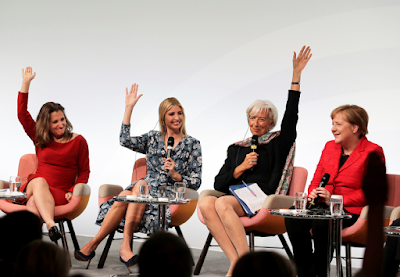 He's been a tremendous champion of supporting families and enabling them to thrive,"
Then Meckel asked Ivanka to respond to those who question if the President is an "empowerer of women" based on his past controversial statements. 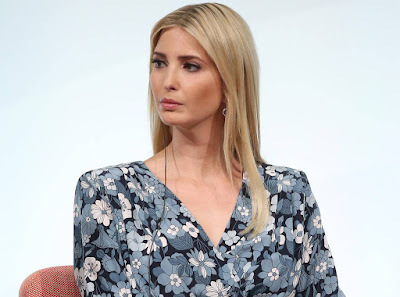 "I've certainly heard the criticism from the media and that's been perpetuated, but I know from personal experience, and I think the thousands of women who have worked with and for my father for decades when he was in the private sector are a testament to his belief and solid conviction in the potential of women and their ability to do the job as well as any man," she said. "So I think in my personal experience -- and you were asking me about my role as daughter -- and as adviser, as a daughter, I can speak on a very personal level knowing that he encouraged me and enabled me to thrive," She said. She also described herself as a feminist while criticizing the movement for not being inclusive enough. "I do label myself a feminist and I think about that in very broad terms," she said. "I think of that as believing in the social, political and economic equality for all genders." "But I do think that there is a feeling of exclusion for a lot of women, if they deviate in one small way and one small area, and I think one of the things that we have to do is we have to come together, we have to have discussions such as this one where we can respectfully disagree with one another," she added. "I think even this discussion on feminism and why it's become so loaded is that I think there can be a negativity attached to labeling because it does feel exclusionary of others," she said. "And so it's very interesting to hear the Chancellor's perspective on that and I do think there's obligation upon us and upon all women to support and to hold each other up and to be inclusive."